The other product that I received from Marc Anthony Singapore is the 2nd Day Clear Dry Shampoo. This dry shampoo is touted as one of the must-haves of the 'It' girl because 'it eliminates everyday grime in as little as 60 seconds leaving your hair clean, shiny and full of new-found body'. 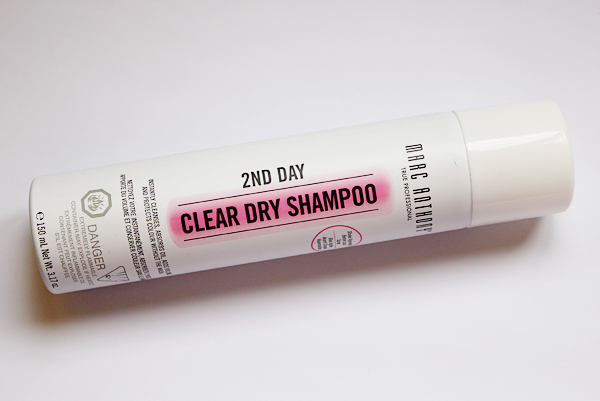 The 2nd Day Clear Dry Shampoo boasts a formula that has been developed with Nanotechnology and Zeolite. This powerful duo helps to absorb oil without leaving any build-up or gritty texture. Zeolite, being highly porous, acts as a filter and traps the excess oil on a molecular level to keep your hair clean and residue-free. This is very much unlike starch, which doesn't really do much in absorbing dirt and dust and tends to become a sticky mess in humidity. A blend of Chamomile Extract, Stinging Nettle Extract and Pro Vitamin B5 has also been added to cleanse, condition and give shine to your crown. 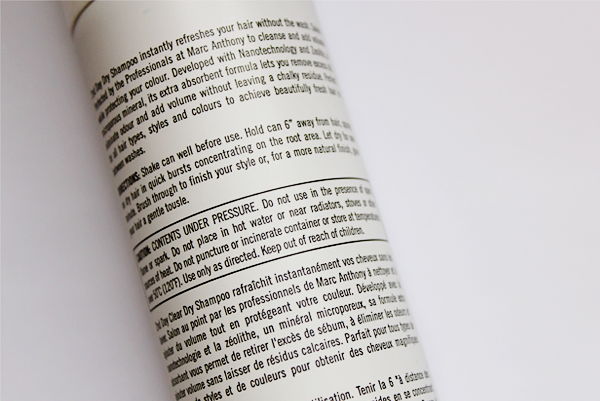 To use it, spray the dry shampoo at the root, wait a minute, brush or comb out and style as usual. If you are going to flat iron your hair, iron first and then, spray the dry shampoo at the root for extra body. We all know that washing our hair every other day is a lot healthier for our crown but it is quite an impossible feat to pull in sunny and humid Singapore. So the next best thing to do is to turn to dry shampoos. I have heard about the existence of these wonder babies since... Well, a pretty long time ago but reviews always have it that these things go all white/ grey on your hair. Dad gave me really dark hair and I don't appreciate looking a day older than I am. And apparently, the dry shampoos have funky smells too. So... I have pretty much stayed away from them until Marc Anthony Singapore sent me a bottle of the 2nd Day Clear Dry Shampoo. 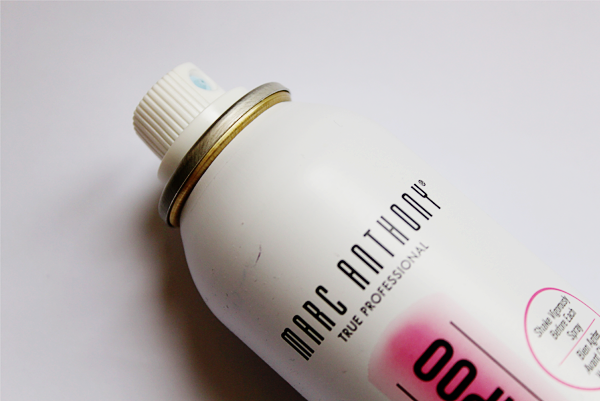 I have tried other Marc Anthony's products (Click here to read about them!) and like them quite a bit so I thought I gave this dry shampoo a try. Marc Anthony's 2nd Day Clear Dry Shampoo is available at Watsons for $24.90.